At the heart of Flight Performing Arts lies community. It is here that we plant the seed of lasting relationships, developing mentoring relationships with our students. We sustain these ties with our "studio family" throughout each student’s time at Flight Voice Studio and beyond. While you focus on becoming an intelligent and skilled artist, we embrace the whole of what it means to be a human. Sharon holds a BMu from Ithaca College in vocal performance and sociology, and is a Guild Certified Feldenkrais Practitioner (like having a PhD in functional movement). Sharon has uniquely combined her talents and love of vocal pedagogy with the Feldenkrais Method® to create a healthy, embodied approach to vocal instruction for over 17 years. She has served on the faculty at Ithaca College, and the Community School of Music and Arts, and as a guest lecturer at Cornell University. Known as "the Voice Whisperer" Sharon is adept at creating a safe and nurturing environment that honors each student's unique instrument. Ginny is well versed in jazz, classical, musical theater, and world music styles. She holds a B.M. in Jazz Studies, Vocal Performance from Ithaca College, studying under Carol McAmis, Kim Nazarian, and others. She is also an active member of the Jazz Educators Network and Mu Phi Epsilon. 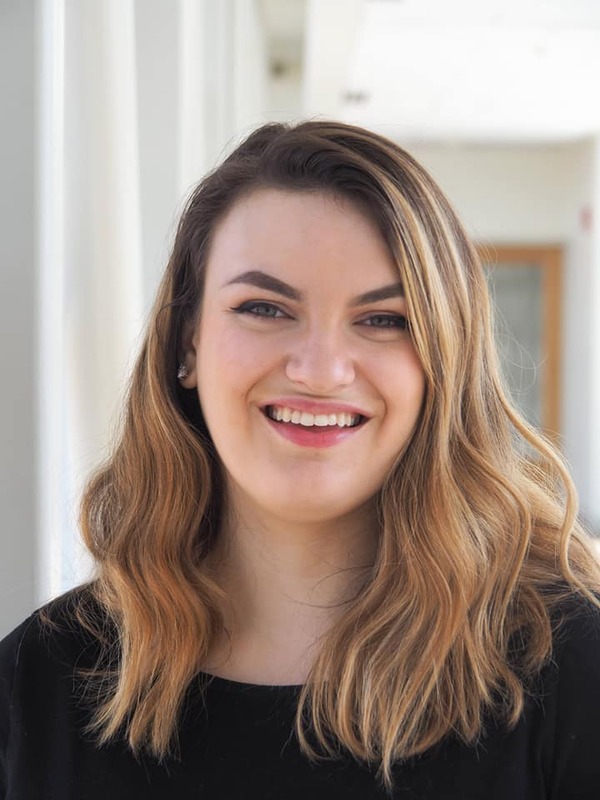 While Ginny has a strong performance background, she has worked for several years as an independent private voice instructor, and vocal coach/collaborative pianist for Ithaca College's Show Choir. She has given clinics on vocal technique and jazz style throughout the country. Passionate about vocal pedagogy, Ginny is excited to grow with her students. As an educator, she strives to empower her students to utilize and respect their whole body as their instrument, building an instrument that can be used in any style. Laura received her B.M. in Music Education (with voice concentration) from Marywood University (2005). She has spent years in music education, including as a private voice and instrumental instructor in the Scranton, PA and Rochester, NY areas, as well as band director of Lakeland School District (Jermyn, PA), Vocal Director of musical theatre productions at Lakeland Jr./Sr. High School and Abington Heights High School (Clarks Summit, PA), Co-Director of the Marywood Children’s Choir (Scranton, PA) and Voice/Sight Singing Instructor at Marywood Music Camp. Laura also has extensive performance experience. Favorite performances include: soprano soloist with the Robert Dale Chorale at the 2010 ACDA Conference in Philadelphia, PA, serving as the longtime vocalist for the Marywood Jazz Band and Wind Ensemble, performing with Pittsford Musicals’ Les Miserables, and even providing vocal tracks for a YouTube animated video. Tucker Davis has served as a performance faculty member at Ithaca College in the Theater Arts Department teaching musical theatre and dance. Tucker toured with broadway productions of both Cats and The Music Man as well as many theatre companies both regionally and internationally. In NYC Tucker danced with several companies including Lydia Johnson Dance, Eglevsky Ballet and The Chase Brock experience. Marie Sirakos is a theatre educator, playwright and performer. She has been a teaching artist for The Hangar Theatre for thirteen seasons, has directed productions in partnership with the Ithaca City School District at LACS and Boynton Middle School and has brought various classes, workshops, and programs to the students of Ithaca, NY and Pittsburgh, PA. She has been the recipient of the Community Arts Partnership’s Artist In Education, Artist in Community, and SOS Grant awards locally. Some notable performance credits include work at The NYC Fringe Festival, The Kitchen Theatre, the Icarus Theatre Ensemble, Third Floor Productions, and Shearwater Productions (Ithaca, NY) and The City Theatre, Unseam’d Shakespeare Company, and The New Works Festival (Pittsburgh, PA.) She also served as the Director of Interactive Theatre at Suicide Prevention and Crisis Services, directing a multi-generational ensemble of improvisational actors. Her written work has been presented at The Kitchen Theatre and with Music's Recreation in Ithaca, NY and as a part of the Workshop Series at The Kimmel Center for Performing Arts. (Philadelphia, PA) She holds a BA in Theatre Performance / Production & English Literature from the University of Pittsburgh. Additionally, she is the proprietor of The Vintage Industry in Ithaca, NY. Sage Alia Clemenco is a theatre artist and educator with a passion for the places where theater and community intersect. She is a current member of Civic Ensemble, working to create theatre that explores and explodes the social, political, and cultural issues of our time. Before returning home to Ithaca, Sage worked as a staff and Ensemble member at Cornerstone Theater in Los Angeles, supporting playwrights and communities as they worked together to create moving and meaningful art. As part of her work with Cornerstone, Sage also helped to design and implement curriculum for the Cornerstone Institute and teach for a wide range of students from all over the country. Sage studied Theater at Goucher College and at the MA in Applied Theatre at CUNY.